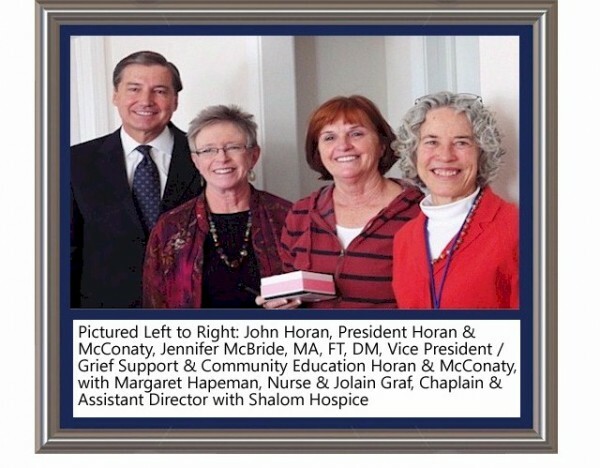 We are honored to award our February 2013 Hospice Caregiver Award to Margaret Hapeman with Shalom Hospice. Margaret was nominated by Jolain Graf, Chaplain & Assistant Director at Shalom Hospice. “We enthusiastically recommend Margaret Hapeman for the Hospice Caregiver Award. Margaret tends to all her patients with heart, mind and soul. She goes the extra mile, paying attention to the small things that make patients happy. She has stopped to pick up a soft drink, hamburger or shake to share with one of her patients. Margaret also takes care of the staff in the facilities she serves. She bakes cookies for holidays and takes them out for a special treat. Margaret is clinically strong, a true patient advocate, supportive of the nurses who work with her, and shares her delightful sense of humor with all she meets.”, said Jolain. Congratulations to our February 2013 winner Margaret Hapeman, with Shalom Hospice.